On his European tour this week, Apple's CEO visited Ireland, and talked about taxes, the abandoned Athenry data center and the company's commitment to the country. 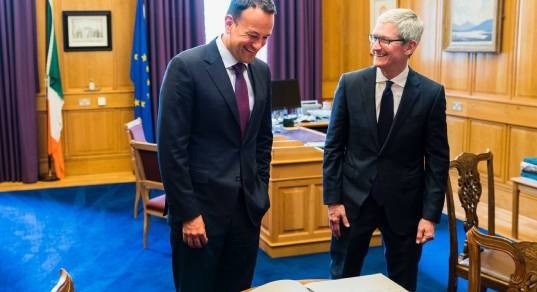 Apple's Tim Cook this week visited the Netherlands and Ireland, and in the latter country, Cook sought to reassure the Irish that Apple remains committed to staying there. 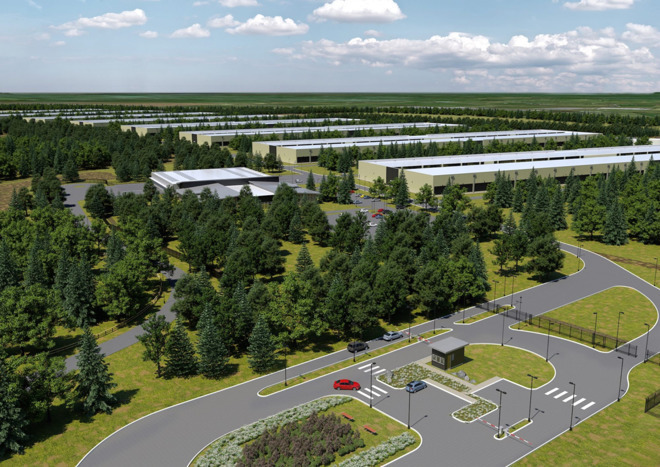 This is despite the recent cancellation of the Athenry data center project, as well as Apple's ongoing tax dispute, in which Apple paid $15.3 billion last month. On the visit, Cook celebrated Apple's campus expansion at its European headquarters in Cork. "Honestly speaking, we didn't come to Ireland for tax," Cook said, as reported by The Irish Times, "We came to Ireland in 1980 because we saw a community we thought we could grow, and could do a number of things to support the continent. We've stayed on course on that over almost four decades. It hasn't been a straight line - life isn't a straight line, things go up and down - but it's always been in a trajectory that is increasing. I don't anticipate that changing." Apple has 6,000 employees in Ireland, as well as 17,000 app developers and more than 300 suppliers. The data center plan was scuttled following years of legal challenges, with Apple declaring that "we're deeply committed to our employees and customers in Ireland and are expanding our operations in Cork, with a new facility for our talented team there."